A typical scenario when fishing for trout, rainbow trout or grayling in winter and early spring is that the water is cold… and there is a lot of it: Not least during periods of rain or meltwater runoffs. 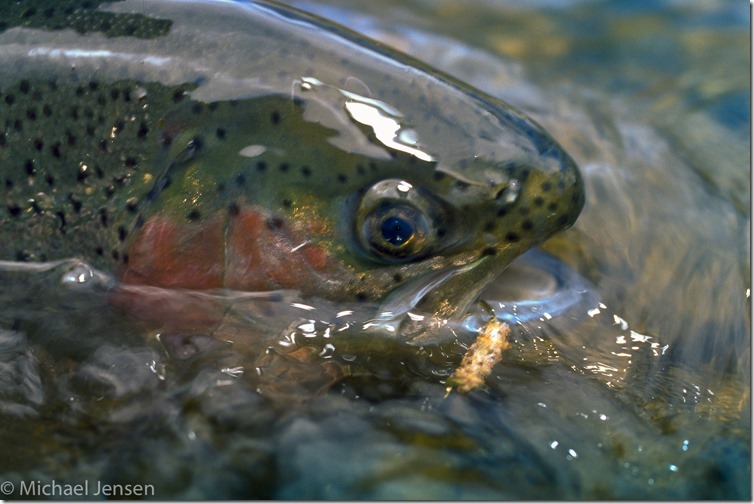 In those situations river fish hug the bottom or any structure, that provides shelter from the current. 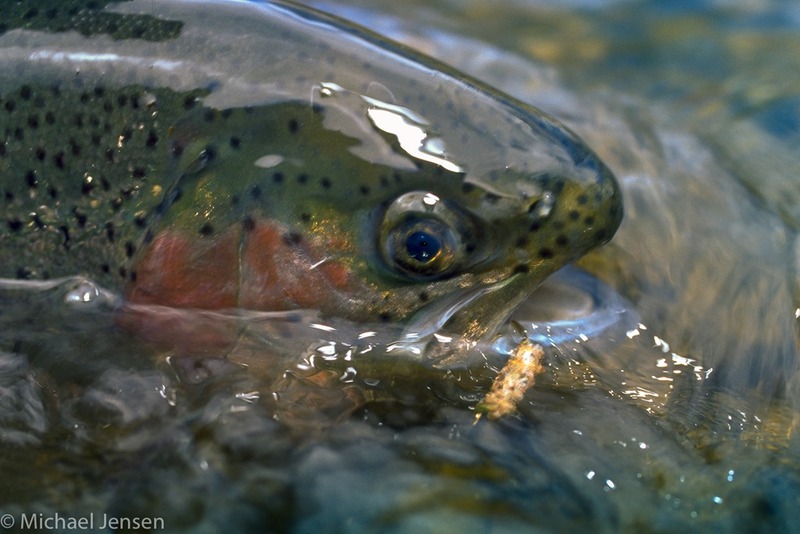 In lakes, they tend to go deep as well, partly because that’s where most of the food is concentrated during winter. 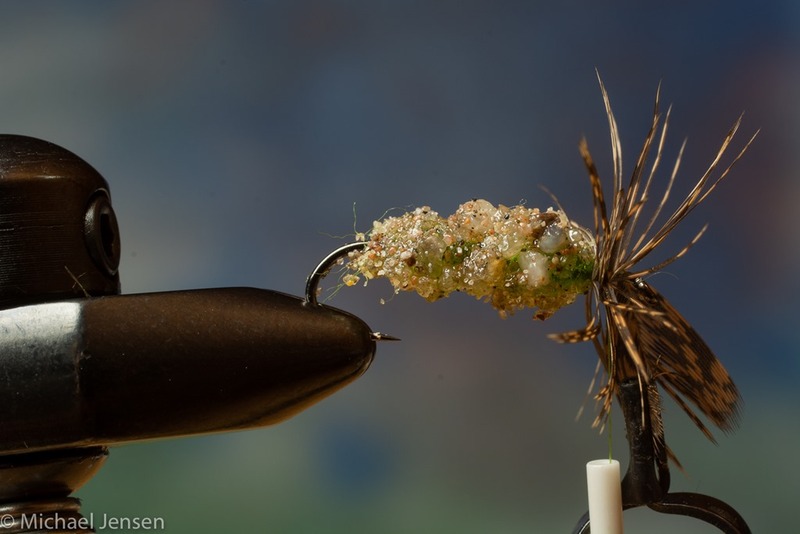 Any nymph, wet fly or streamer can catch fish – but an imitation of the case building caddis larvae is a good fly to start out with. 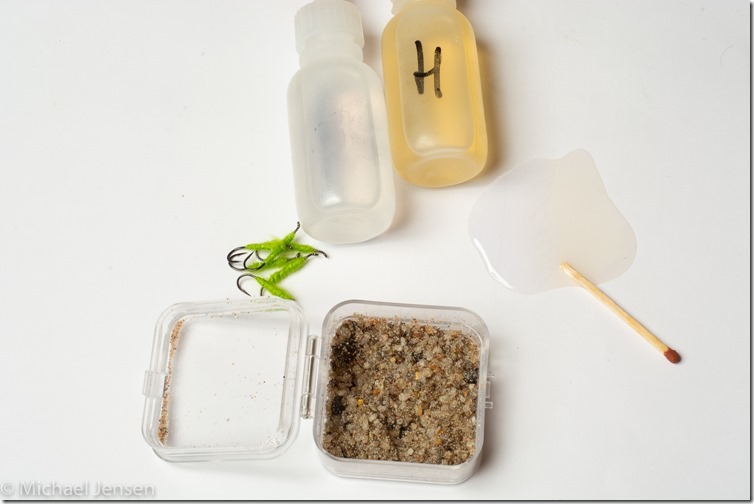 In winter, trout and grayling can be stuffed with these critters, that are eaten with the case and all. This is a food item that typically is common and plentiful. 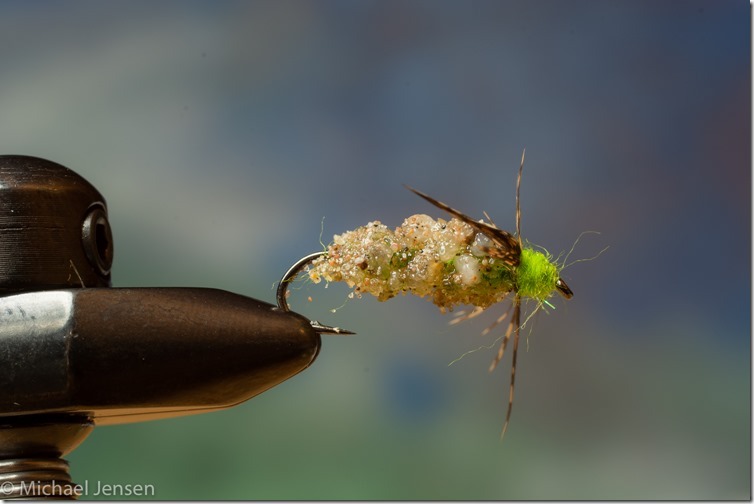 Nearly all adult caddisflies are terrestrial, but their larvae and pupae are aquatic. 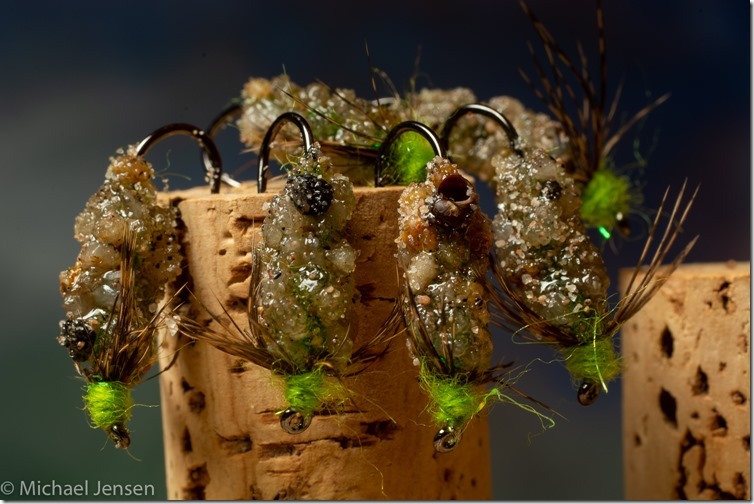 They share this characteristic with several distantly related groups that are very important to us as anglers and fly tiers: the dragonflies, mayflies, stoneflies and alderflies. 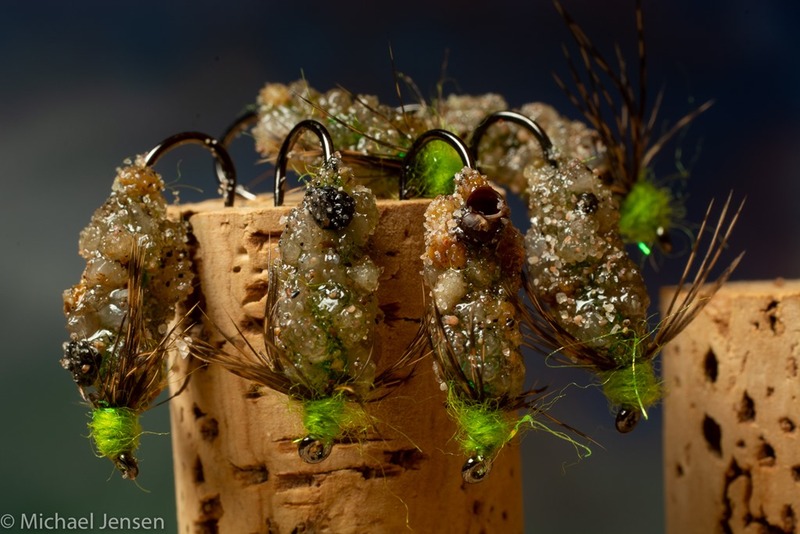 About 14,500 species of caddisfly in 45 families have been recognised worldwide and many more remain to be described – so you… and the fish are forgiven if you don’t have all the Latin names at the tip of your tongue. The aquatic larvae are found in a wide variety of habitats such as streams, rivers, lakes, ponds, spring seeps and temporary water. The larvae of many species use silk to make protective cases, which are often strengthened with gravel, sand, twigs, bitten-off pieces of plants or other debris. In streams and on the wind exposed banks of lakes, the case building materials of choice are gravel and sand. 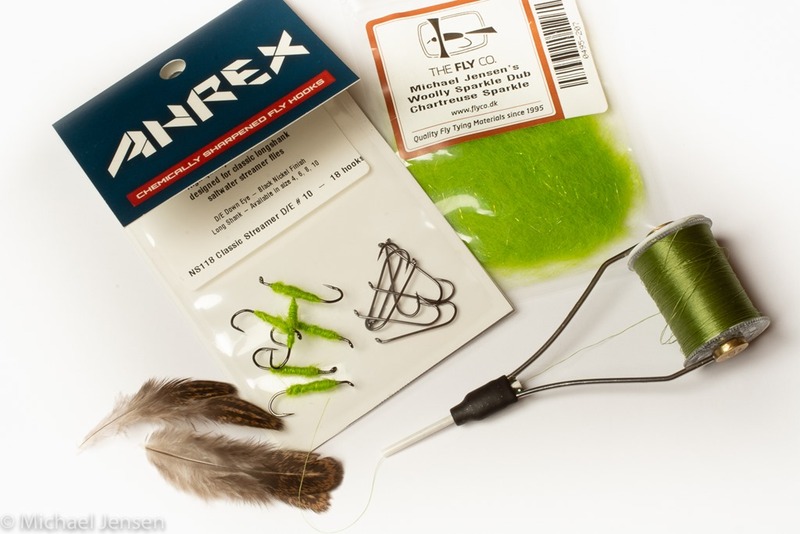 Put an Ahrex Classic Streamer NS118 size 10 – 8 in the vice. Cover the rear part of the shank with dubbing or wool yarn. 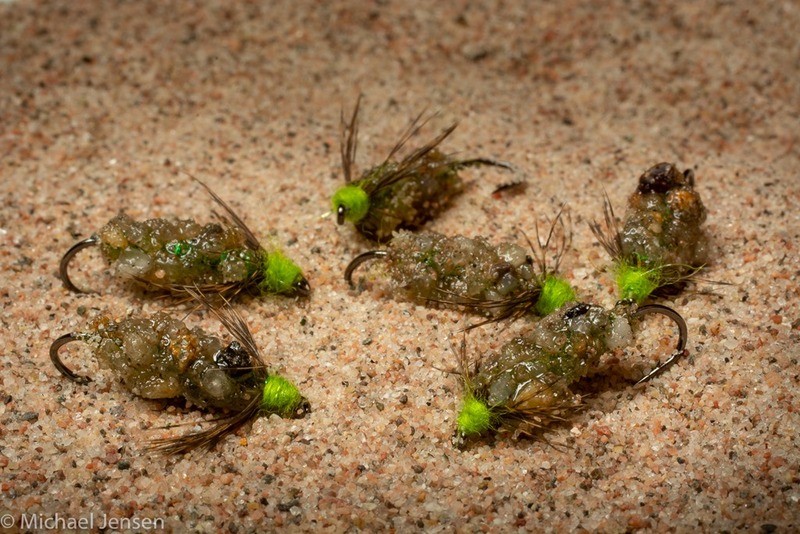 Roll the fly in dry gravel or sand. Sand can be found in the river, where you want to use the fly. If you live far from the stream, you can buy sand and gravel in any size and colour in your local pet store (aquarium gravel). 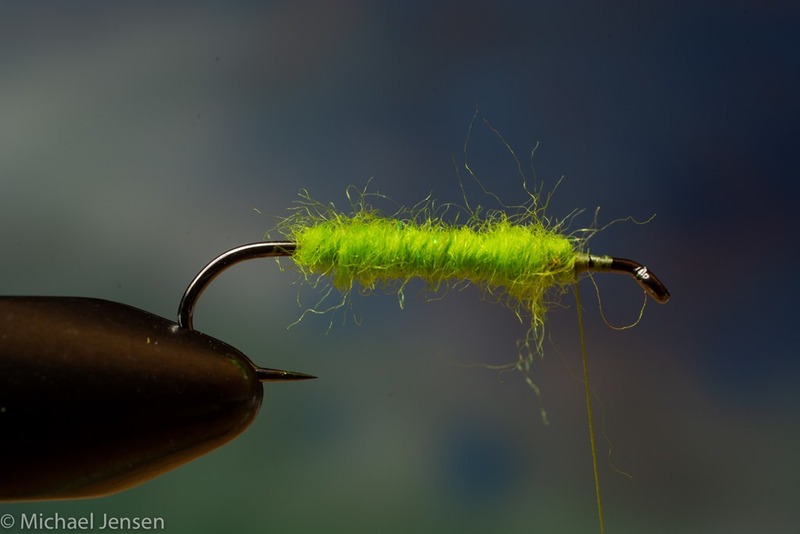 Tie in a small mottled hen hackle feather or a partridge body feather as legs. Make a small heat using green or chartreuse dubbing. That’s it. 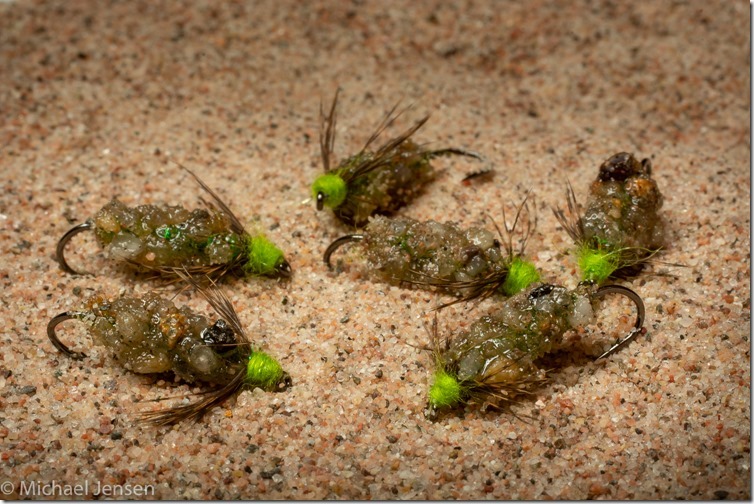 Your caddis case fly is semi translucent, if you have used sand and gravel that is, so the chartreuse body might shine through the mix – adding a very life like sparkle. 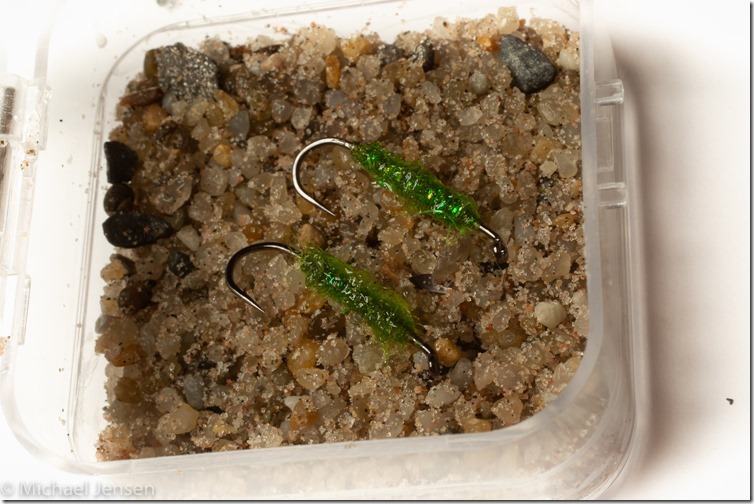 And the gravel adds weight, making this fly excellent for a floating line/long leader setup. You can inch the fly along the bottom or dead drift it under a strike indicator. You can use a sink tip or a full sinking line if the situation calls for that. Any way… this fly is effective.